The following items are all A.O.F.B. inspired although not officially sanctioned drinking vessels. 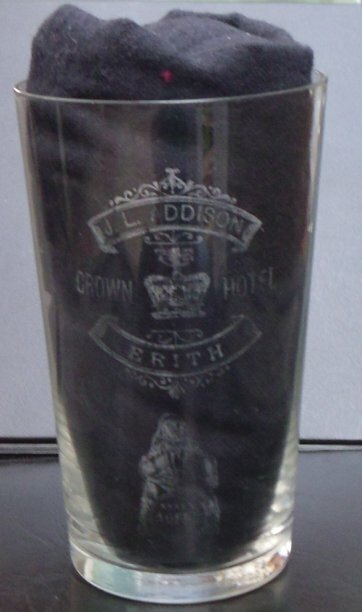 A musical tankard made by Crown Devon - although a pint vessel it holds around 2/3 of a pint due to the musical mechanism in the base. 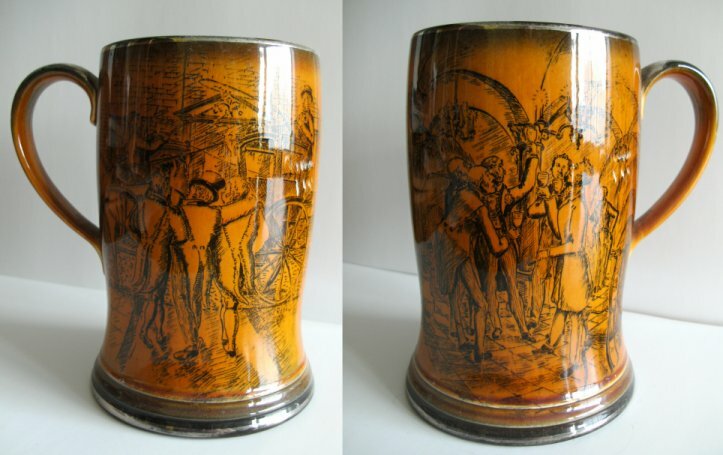 The music starts when the tankard is lifted and plays the Frothblowers Anthem - The More we are Together. Parrs Head Vat, Camden Town, London. 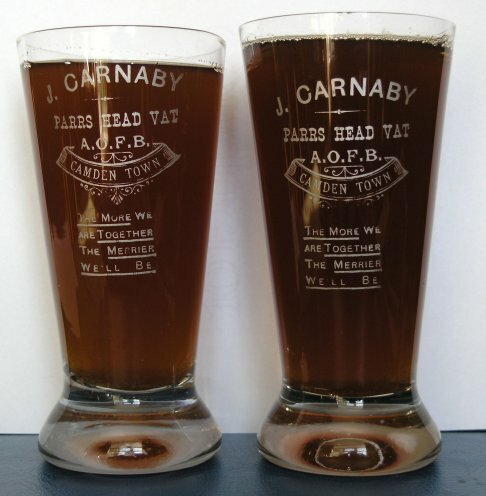 The glasses are not quite half a pint. Picture courtesy of Ken Chamberlain. 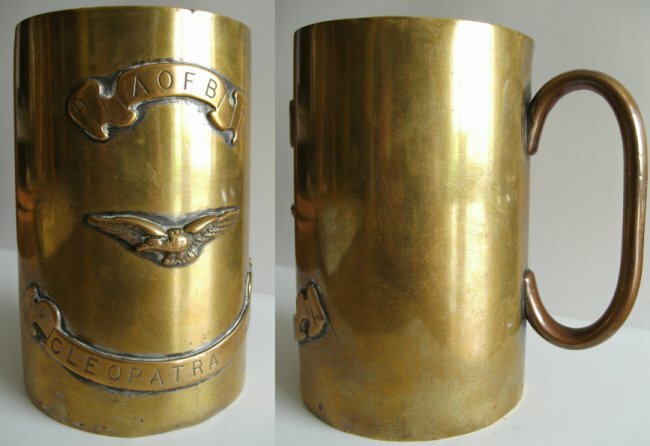 Trench Art tankard - made from a brass shell case - from the Cleopatra Vat in Egypt. 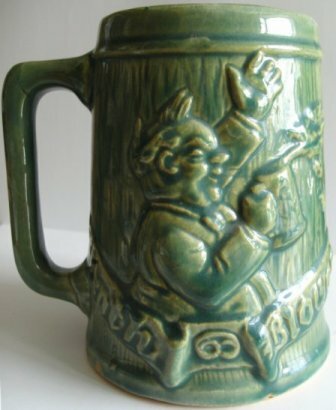 A crock pint mug - made for Baron Rabbit from the Angel vat, Godalming. Picture courtesy of David Woodhead. 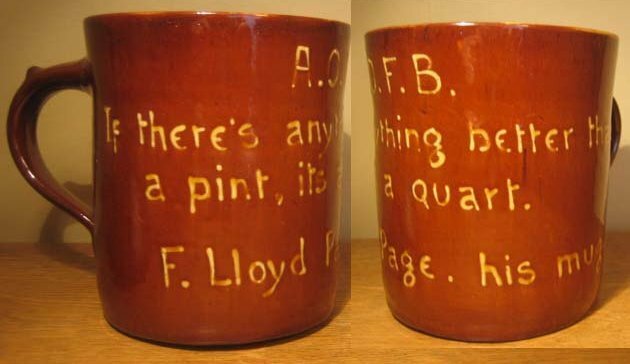 Crock pint mug of F Lloyd Page - has the Slogan - If there's anything better than a pint it's a quart . 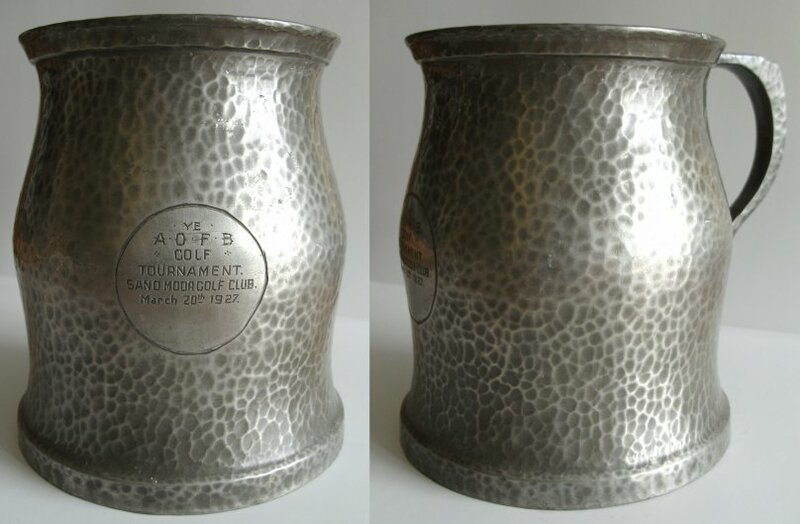 Pewter pint tankard 'Golf Trophy' from an A.O.F.B. golf tournament, held at Sand Moor Golf Club Leeds 20th March 1927.